Hello! I am interested in purchasing a copy of the Carcassonne Almanac! If anyone has one and is interested in selling it to me, please reply below or PM me! Thank you! 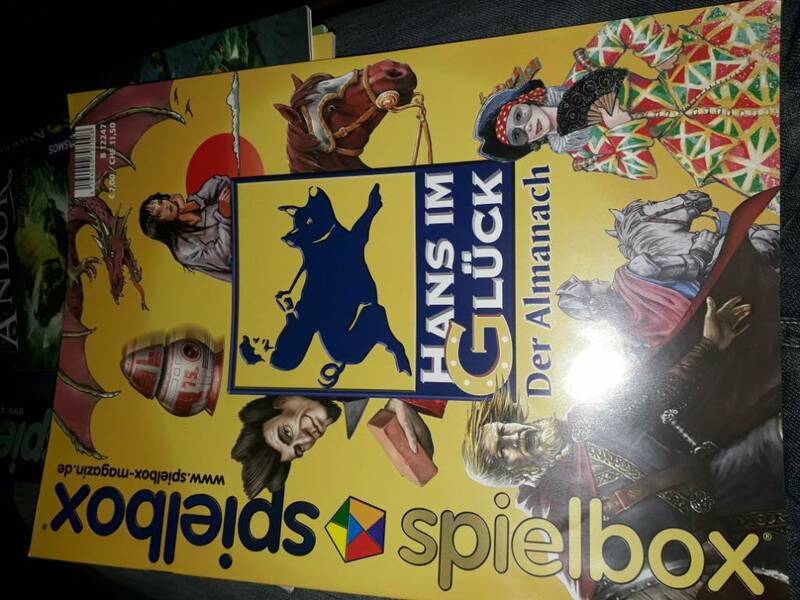 Hi - can you please clarify which one you are after: Der Carcassonne Almanach 2005 or HIG Almanac 2008? Both of them are intriguing to me! If you have one or both of these Almanacs, I am interested! Are you talking about the magazine's? I would guess so. The Carcassonne Almanac was a special magazine which came with a republished version of Cathars. I think I have one somewhere, but it's not for sale. Sorry. Yes, I am talking about the magazines. For the 2005 Almanac, do you know where I can find one, or anybody that has one for sale? Sold mine earlier this year. Sorry. I think I have one. I will look it out. That’s awesome! Just send me a PM if you have it and we can work something out! That's the 2008 Almanac which I posted to asp204 a couple of days ago.